one hell of a land-locked fund-raising party and art auction. Galleon Trade is out to make the Pacific Ocean seem smaller, by creating a sustainable template for innovative new kinds of grassroots arts exchange. We’re starting by forging artsy new relationships between California, the Philippines and Mexico. You’re starting by coming to our party, and having some good clean fun, dancing, eating things, drinking things, enjoying/bidding on art. When and Where’s the Ship Launch? 1 block from 12th St Downtown Oakland BART! What’s going to happen there? DJs and plenty of other entertainment to keep you occupied on a warm, sweet East Bay summer evening! There will likely be some dancing to be done. A silent art auction featuring affordable work by many of the Galleon Trade artists and their high-powered artist friends! 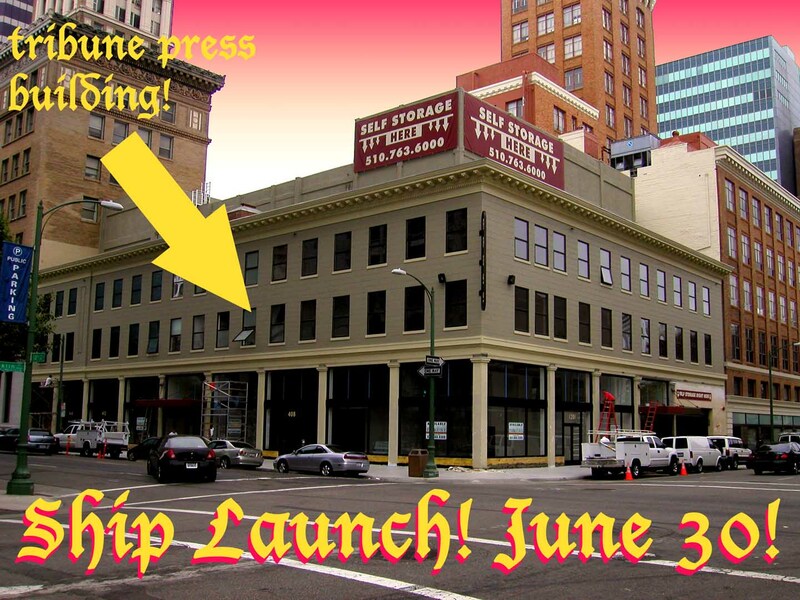 The opportunity to experience the lovely historic Tribune Press Building before its new tenants move in! How much is all of this fabulous fun? A mere $10. More, if you’re feeling generous. Less, if you’re in a tight spot. Food’s on the house, drinks by donation. Galleon Trade accepts web donations via Paypal at http://www.galleontrade.org. Details and online gallery are right here. Where do my pesos go? All proceeds support the multi-year Galleon Trade project, which is building new templates for grassroots, international, trans-pacific arts exchange. Phase 1 of the project brings 12 California artists to Manila, Philippines this July!